We offer a great selection of foosball to choose from. To learn more visit the manufacturer websites below. 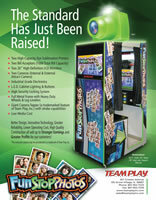 Features their industry proven Funstop photo booth. Funstop is build to last and provise tested. This is the ultimate photo booth! This new booth allows your customers to take a 1, 2, or 4 pose photo, a photo with background, or an outrageous character photo. Photos are printed onto 4"x6" glossy photo quality paper for an exquisite image every time. 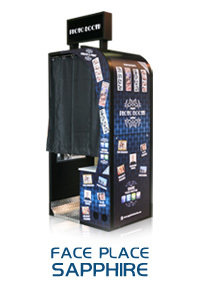 Everything you want from a Smart photo booth is wrapped up in a sharp-looking, durable metal cabinet. Decals are easy to change depending on your location or for use in photo booth rentals. Also available with the option to record up to 30 seconds of video and to email your photos or video messages. 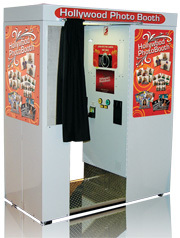 The Strip is a complete new concept in the photo booth industry. It demonstrates a simulated film strip using four screens in a vertical position.